Most energy-conscious people remember to turn lights off when leaving a room in order to save energy, but one conservationist named Randy Sarafan has taken this practice to the next level. In light of Earth Day, Sarafan has used his electronics skills to create a lamp that only turns on when your eyes are open, and shuts off when they are closed! 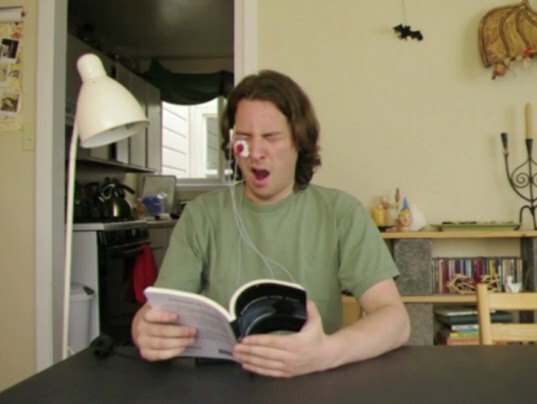 The device hooks onto the user’s face, transforming them into a cyborg-looking energy conservation machine! At a time when conservation consciousness is on the rise, consumers have been offered a slew of new Earth-friendly products like energy conserving light bulbs and lamps. The popularity of these products in big box stores like IKEA has shown that consumers are ready to bring these energy-saving devices into their day-to-day lives. But what if energy saving technology was taken to the extreme? That is what Sarafan challenges with his fun and innovative Saving Light invention. 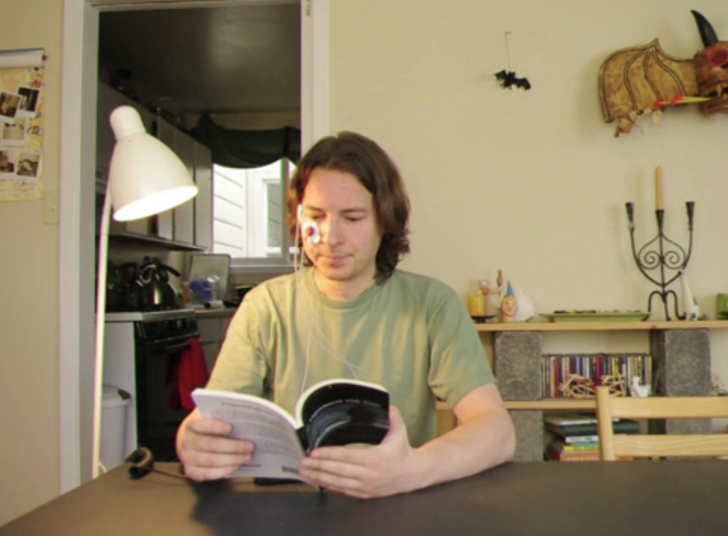 The device reacts as you blink, bringing you light when needed and darkness when not. This device, which must be worn, may seem a bit extreme – but Sarafan is seeking to open a dialogue for tech inventors to begin developing use-sensing technologies like TVs, computers and other appliances. Many already shut themselves off with timers, but Sarafan’s fine tunes the process even more by involving user interaction. Sarafan is a DIY tech genius, having written a book called “62 Projects to Make with a Dead Computer,” as well as being the Technology editor for the DIY projects site Instructables.com.